After nearly 20 years in the same location, a Portland favorite is finding a new place in the city's restaurant scene. When Lisa Schroeder opened Mother's Bistro and Bar, she didn't know if the downtown eatery would sink or swim. Nearly two decades later, she has her answer. The restaurant has become so popular with Portlanders — as much for the home cooking as for a country-chic decor that blends big windows with chandeliers — that it has outgrown its space in the ground-floor of the historic Concord Building in the 200 block of Southwest Harvey Milk Street. The time has come, Schroeder says, to take Mother's to the next level. 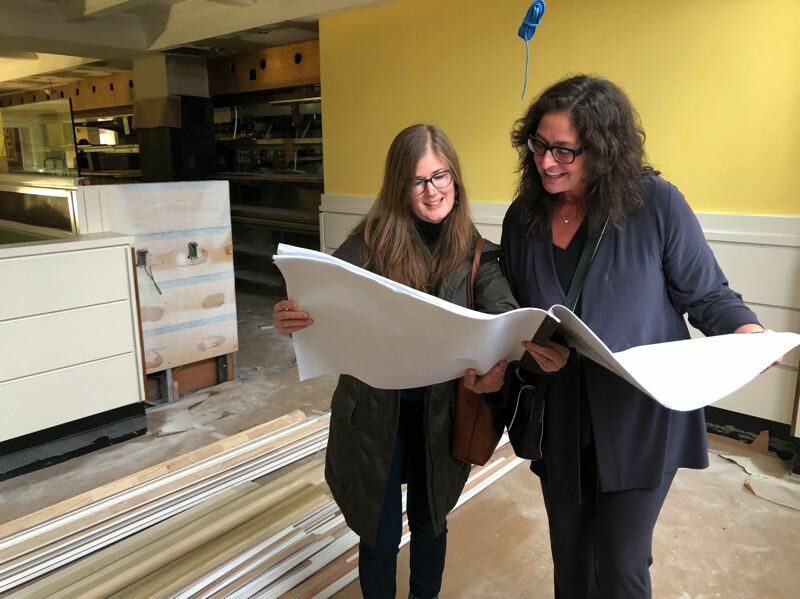 She and a project team that includes Scott Edwards Architecture and R&H Construction are heading into the home stretch of the renovation of space on the ground floor of Embassy Suites Portland hotel. When work is finished, the result will be a new and improved version of the restaurant and bar Schroeder opened in 2000. She's calls it Mother's 2.0. While it might be tempting to point to Mother's as an example of what pure culinary talent can accomplish, Schroeder is quick to point out that before she took steps to refine her skills in the kitchen, she had a firm grasp on spreadsheets and profit margins. She harbored the dream of opening a restaurant. But because her background was long on marketing and business but short in the culinary realm, she set out to gain the hands-on experience she needed. She enrolled in the Culinary Institute of America. After graduating with honors, she worked in four-star restaurants before moving to Portland. Two years after working as the chef at Besaw's Cafe, Schroeder felt she was ready to open Mother's Bistro and Bar. In the years since, the restaurant has become a local favorite, but the growing popularity has come at a price. Weekend brunches are packed with little space left for dining-room staff to maneuver. Dinner services find hungry patrons lined up for tables. The restaurant's baked goods are made in another location around the corner and then carried to the restaurant. The dishwasher's station is located in an area that was an old vault. "We had people who had to work in the basement," Schroeder said. "I realized I needed to make life better for my staff and my customers." Schroeder originally planned on sinking about $500,000 into renovating the restaurant's current space to try to better accommodate demand. 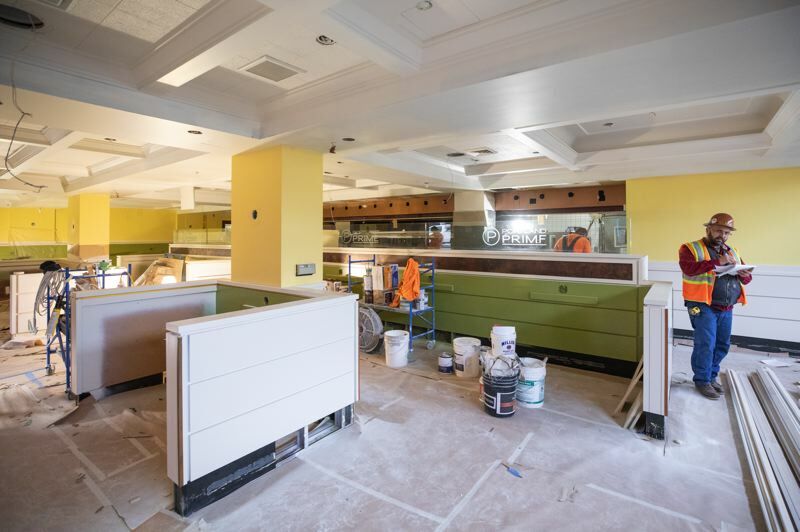 While searching for a "pop up" location where she could temporarily continue to serve patrons during the renovation project, she found the ground-floor space in the Embassy Suites hotel. The space had previously served as the home of the Portland Steak & Chophouse and Portland Prime restaurant. 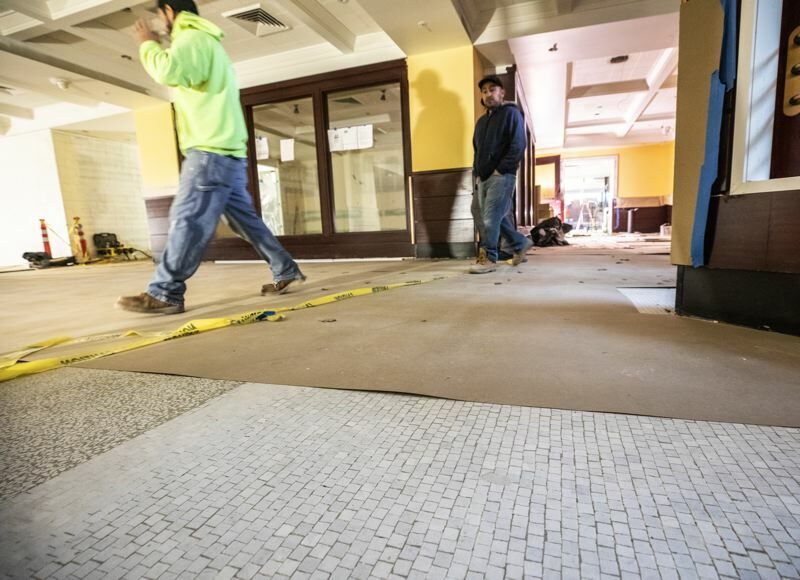 The interior design — dark floor tiles, dark wood, dark cushioned banquettes — was an almost complete turnaround from the country-cozy environment of Schroeder's restaurant. "Anyone who walked in would have never seen Mother's," Schroeder said. Still, the space offered enough room that she could see the potential. She signed a 10-year lease and work began to reinvent the space. Renovating the space into the next version of Mother's required Schroeder and the project team to reach a compromise in order to keep the project cost within her means. Work ended up in one of two categories: features that would definitely need to be changed, and details that might not be ideal but would remain in place. "We were trying to make peace with what was here before," Blythe Sacho, a designer with Scott Edwards Architecture, said. "We were just trying to reinterpret it." A large percentage of the original woodwork, for example, has been kept. So have the ceiling tiles. But they've all been updated with coats of white paint to create a lighter feel more consistent with the Mother's brand. The dark slate floor tiling that came with the building also was on the list to stay. While working on the tiles, though, workers made a surprising discovery. Hidden beneath was original, hand-laid terrazzo, a mosaic-like pattern of different textures and approaches. The end result will be an almost quilt-like effect. Other surprises were less pleasing. 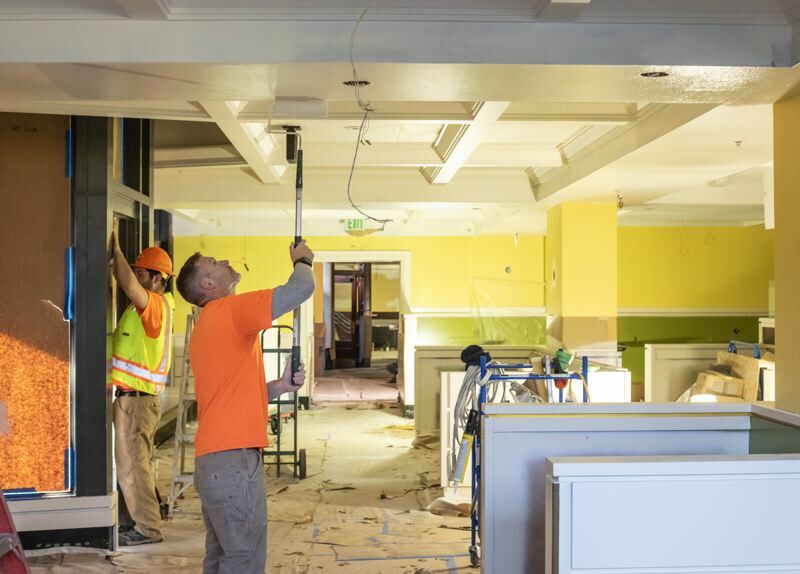 In a part of the space that will become a bar and lounge, workers were removing the existing bar when they found the wood was rotted. Now, an entirely new bar is being built. Unexpected curveballs like that have driven the cost for the project up from Schroeder's original budget. She says she's now looking at a price tag of at least $1.2 million. However, she still feels moving Mother's to the Embassy Suites space will be the right move in the long run. The Mother's current location is in an unreinforced concrete masonry building, Schroeder says. The Embassy Suites space meets current seismic standards, upping the chances the restaurant will survive if a major earthquake were to occur. That survival factor looms large in Schroeder's mind. "It's my commitment to Mother's," she says. "[The restaurant] isn't just me; it needs to continue after I'm gone." Looking around at the work that's been done in the hotel space, the presence of the well-loved local eatery is slowly becoming apparent. Yellow paint brightens some walls. Brown butcher paper has been peeled away in spots to reveal the light concrete floors. Former dark wood paneling below windows along the Southwest Third Avenue side of the space now sports coats of white paint. But patrons who come to the new Mother's location when it opens in January expecting to find the same old restaurant will be in for a surprise, Schroeder says. 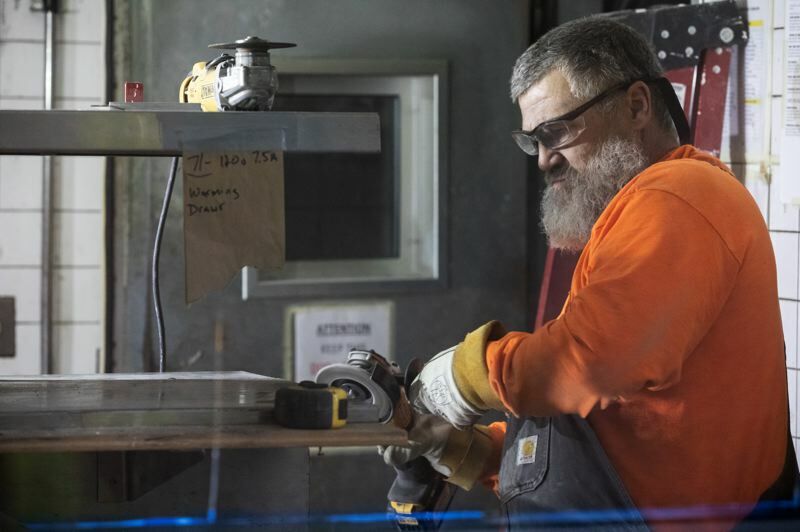 The new space features a big foyer that will offer plenty of waiting room and a view into a glass-enclosed area, a former private dining room, that will house the restaurant's bakery. Favorites will be carried over from the current menu, but new dishes — including spaghetti and meatballs — will be added. And while the new space may be light on chandeliers, it will feature custom lighting features, including sconces. "Mother's is 20 years old," Schroeder said. "It's time for the restaurant to grow up."